This easy-to-use wireless presentation timer kit is ideal for timing presentations for conferences or events with multiple presenters. This presentation timer kit allows your presenters to keep an eye on the clock, ideal for conferences or any event with multiple presenters to keep your presentation schedule on track. 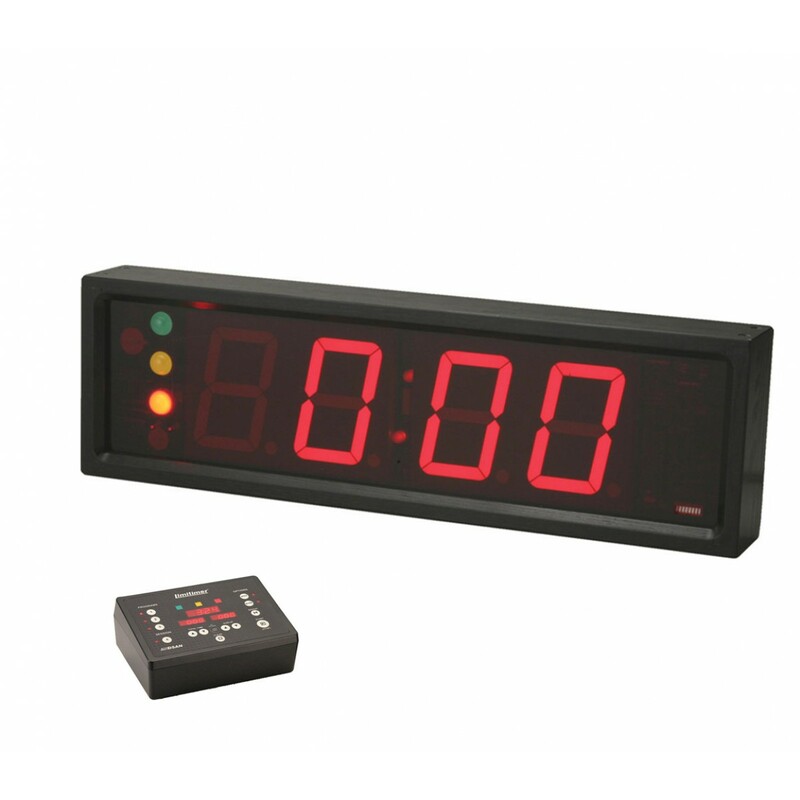 It consists of a wireless timer and a large presentation clock with 4” high solid LED digits and green-yellow-red warning lights. The clock has a built-in kickstand allowing you to place it anywhere on the floor or stage where the presenter can easily see it. The timer connects easily and reliably to the clock over bluetooth, XLR or ethernet with a wireless range of 250’. Both units require AC power from included external 12V power supply.